You deserve the best, so you buy the best. You want to take care of your investment, so when your high-end appliance breaks down, you don’t want to trust your machine to just anyone. That’s why you should call It Is Fixed Appliance Repair. Our technicians are fast, efficient, and specialize in servicing top brands like Sub-Zero and Bosch. Our appliance repair specialists are licensed, insured, certified, and factory-trained. When you work with It Is Fixed Appliance Repair, you can rest assured you’re working with a name you can trust. 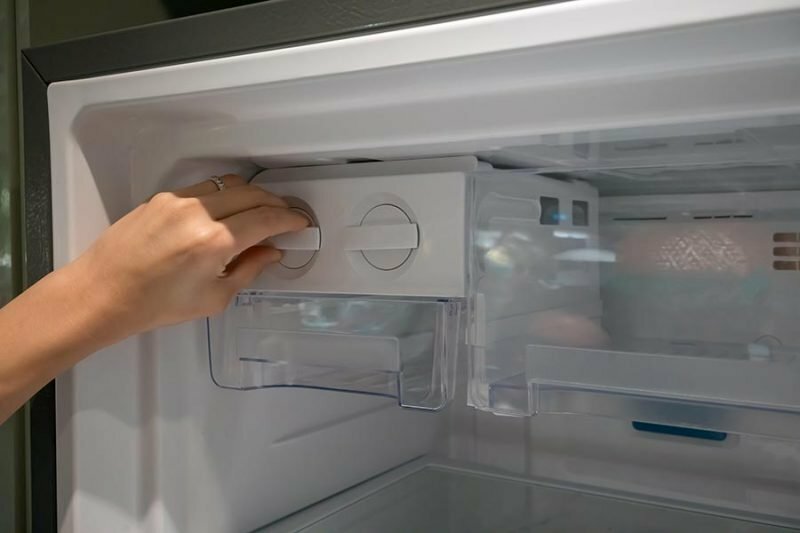 You never have to worry if a replacement part will be right for your machine because we exclusively use brand-new factory original parts for your appliance repair needs. If you’re not satisfied with our service, you can count on us to do whatever it takes to make it right. When you call our number at (404) 407-0071, you’ll speak immediately with a live person, not a recording. We work with your schedule, so you never have to miss an important meeting or call to meet a repairman. Our technicians are in the field nights and weekends to make sure we’re there when you need it most. We’ll give you your choice of appointments. In most cases, we will be out to you on the same day you call. Many of our competitors have four, or even eight-hour service windows. We value your time, so our goal is never to make you wait. We keep our service windows at two hours to minimize the disruption to your schedule as much as possible. You’ll receive a notification when the appointment is scheduled and when the technician is on the way to your home, so it’s easy to know when to expect service. If you need repair or maintenance services, our specialist will troubleshoot your appliance and locate the issue. Our up-front estimate will allow you to proceed with the choice that works best for your needs. If you complete a repair or installation with us, we waive our initial service fee. High-end appliances often come with a higher cost to repair, but we strive to keep our prices fair and reasonable. We don’t charge more for labor whether we’re working on a Miele or a Whirlpool. 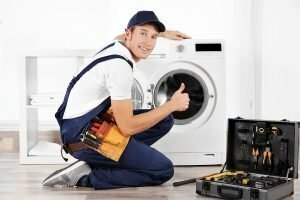 Although we can’t confirm a price without first inspecting your appliance, the following list will give an overview of what other customers paid for appliance repair in Buckhead. Smoke coming from the oven doesn’t always indicate that dinner is done. It’s very easy to panic when your oven is billowing even a little bit of smoke at you. Don’t panic though; there are several reasons why your oven may be smoking besides forgetting something in the oven. Check out this troubleshooting guide to help you locate, isolate, and resolve the issue. Your washing machine cleans your clothes but did you know that you need to clean your washing machine on occasion. Front loader machines especially need a little more TLC. Regular washing machine maintenance can help keep your machine working well and is easy to do. 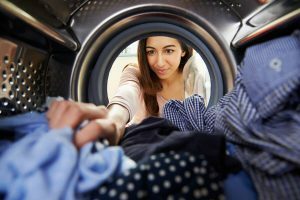 Check out our washing machine maintenance guide to give you a helping hand on keeping your washer mold and mildew free, prevent costly repairs, and add many good years to it. Opening your dryer only to find still wet clothes after you’ve run them is not a surprise you want to find. It doesn’t mean your dryer is damaged or that you may have to get a new one. Check your heat settings then check our handy dryer repair troubleshooting guide to help you get your dryer back into the heat of the action. Great company, would recommend to anyone looking for appliance repair in the Atlanta area. Jacob did a great job diagnosing and explaining the problems with my oven and ice maker. The price was fully explained and reasonable. Thank you for the great service! Umid and his assistant did a great job performing a very difficult repair on my large Whirlpool refrigerator/freezer. This required ordering a part, which Umid did very expeditiously. They also worked around scheduling difficulties to complete the job on a weekend. I will definitely call them again if I need any appliance repairs done. Read their reviews on Kudzu and contacted IT IS FIXED based on their high marks. Umid promptly returned my email and scheduled a time that worked for both of us to repair a Whirlpool stand-alone freezer. He called the morning of the appointment to confirm I was home and get some specifics on the problem. Umid was extremely friendly and immediately set reasonable expectations for the repair. Even though he gave a repair option a low probability after some troubleshooting he identified the problem and provided me with a very reasonable quote, which I accepted on the spot. 45 minutes later he was done and cleaning up the work area, saving me several hundred dollars in replacement cost. IT IS FIXED is highly recommended for their courtesy, efficiency, and professionalism.